Streetwise cyborg Lexi Vale brokers deals for gang lords in the anarchic city of Foundation. Her mind-reading implant gives her a crucial edge—but it also makes her brain a hot commodity. When she’s targeted by an augmented hunter, Lexi joins a group of rebels: a murderous vigilante, a daredevil smuggler, a drug-addled surgeon, and a revolutionary whose shared past with Lexi endangers them all. A queer, dystopian sci-fi about piecing together purpose from the fragments of love and loss, even while the world itself is tearing apart. Discover our queer dystopian science fiction novel! 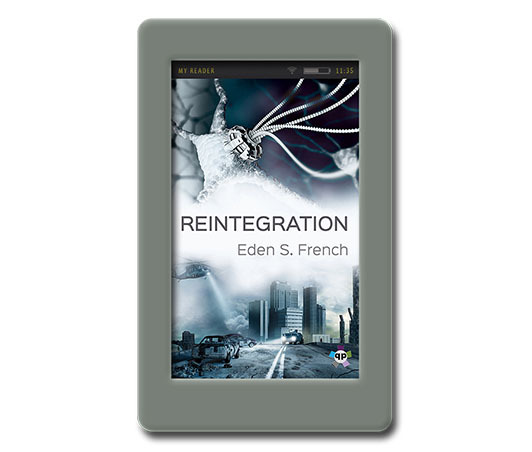 Read excerpt from Reintegration here.